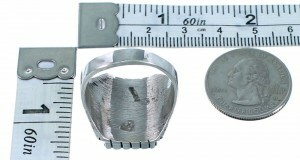 Ring is size 12, it measures approximately 3/4" long and 7/8" wide. 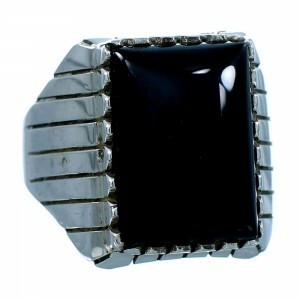 This gorgeous ring is absolutely distinctive in each and every way! 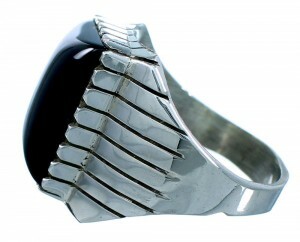 This piece of Native American jewelry is Navajo hand crafted by artist Ray Jack, out of genuine sterling silver and a real Onyx stone. 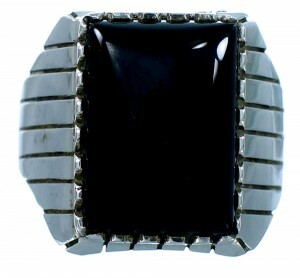 The stone is gently set in a hand cut bezel setting, while stamped designs can be seen highlighting the ring for a lovely finish.